Seems like forever since the last time I posted anything here. Life's taken over...not much time to sit in front of the computer and ruminate, which is a good thing. 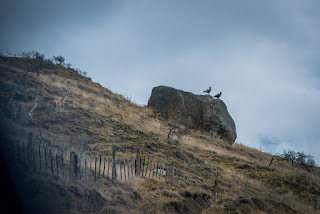 Better to live (love) life than to blog about it. 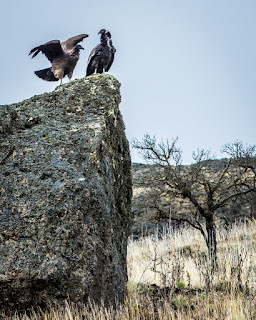 Nonetheless, this is a good place to share my adventures, passions and photos...so, I guess I'm back. Thought I'd start by sharing a few images from a recent trip to Chile...one of my favorite places on the planet. I'll try to get caught up over the next few weeks before we head off again. 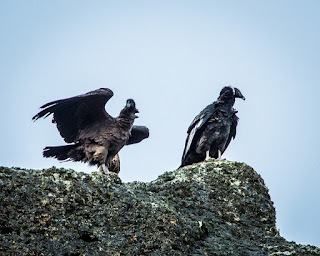 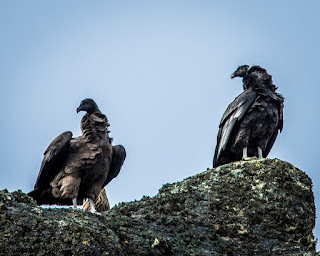 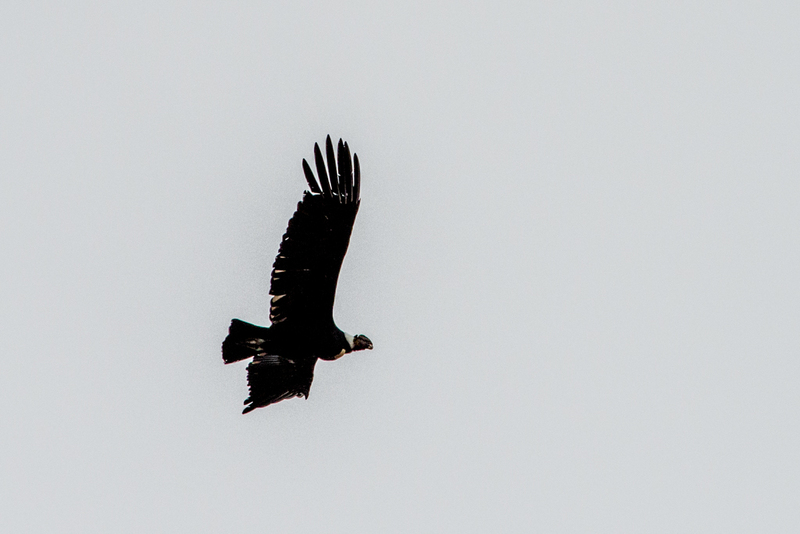 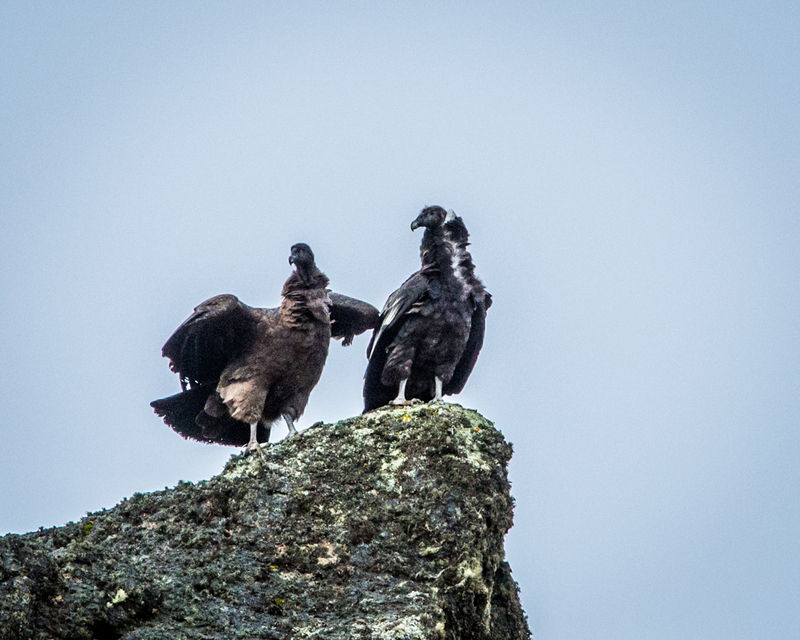 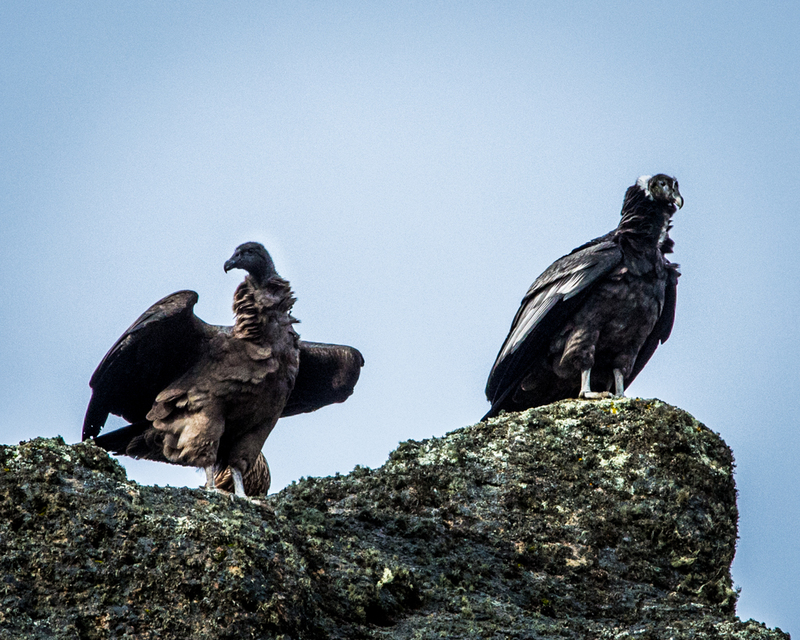 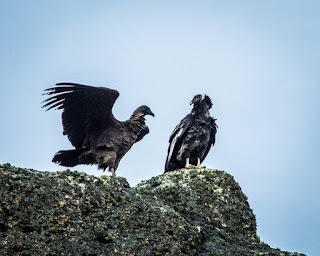 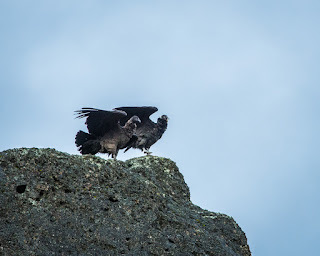 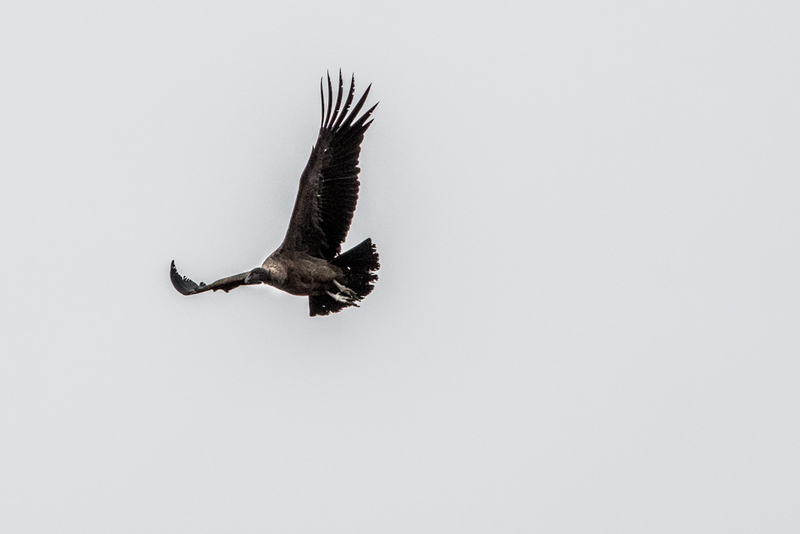 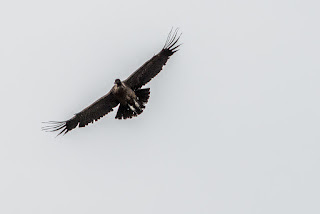 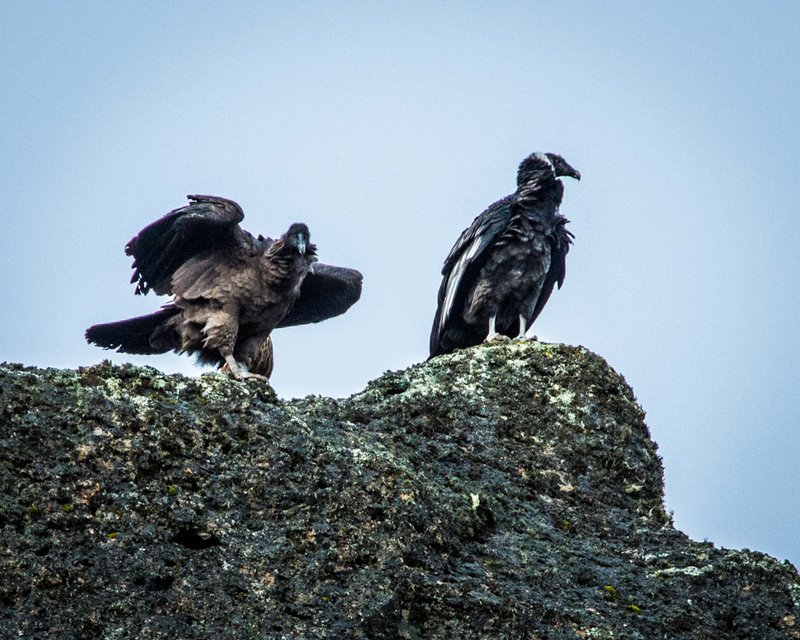 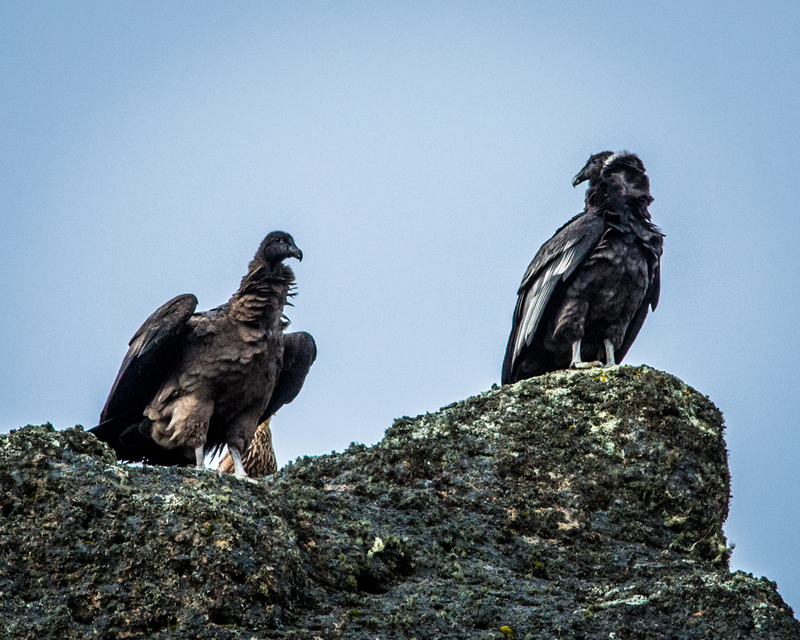 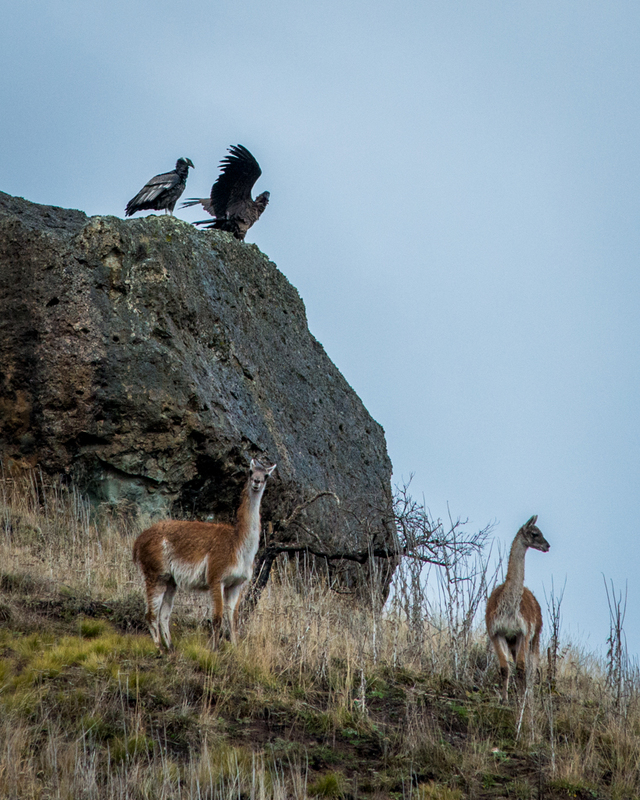 Probably the most iconic animal from the Andes, next to the llama, is the condor. They're found soaring gracefully on the winds, rarely even flapping their wings. 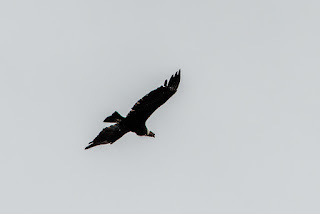 They are difficult to photograph, since it almost always means pointing your camera straight up into the sky and trying to focus on a small moving dot. But this trip we were lucky enough to see a pair perched on the rocks. 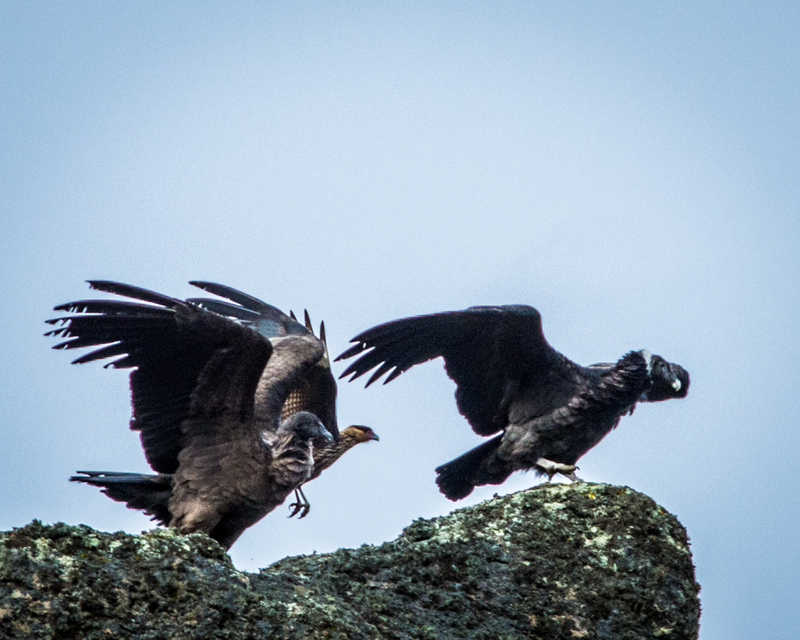 The male has the recognizable white collar; the female is more of a dull brown. 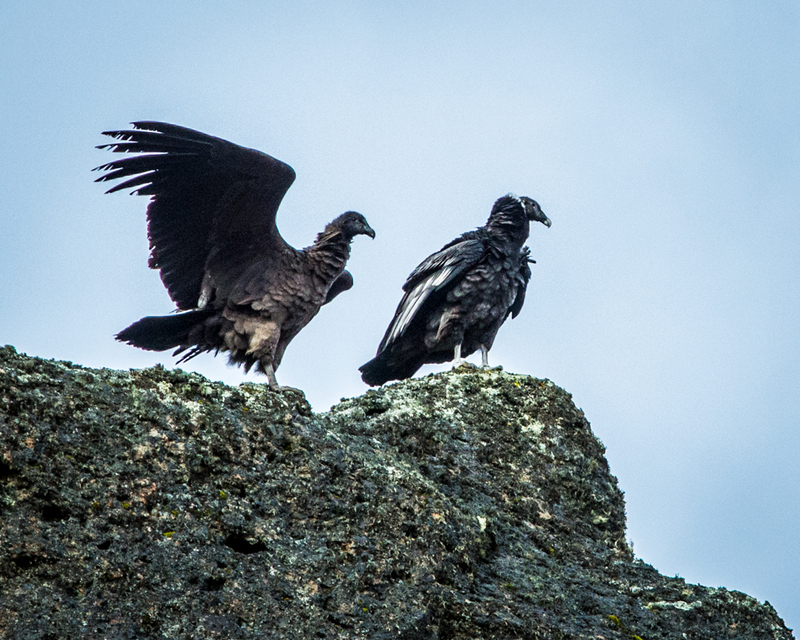 Their wing span is usually around 9 ft...yes, they are huge. 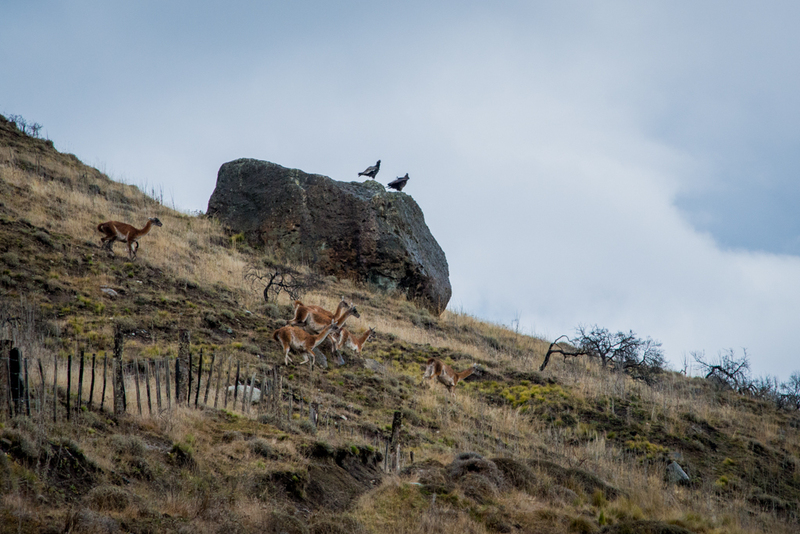 Seen here in close proximity to the guanacos (they average around 4' at the shoulder and around 200 lbs), you get a better sense of the size of these magnificent birds. 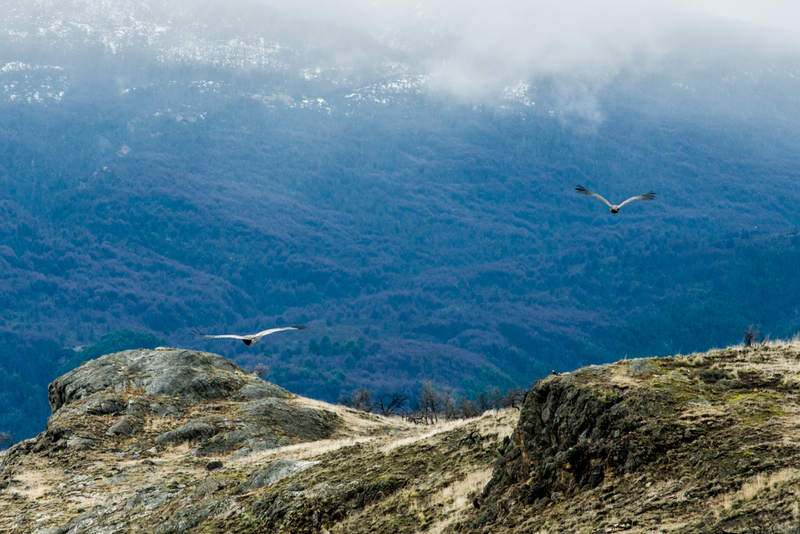 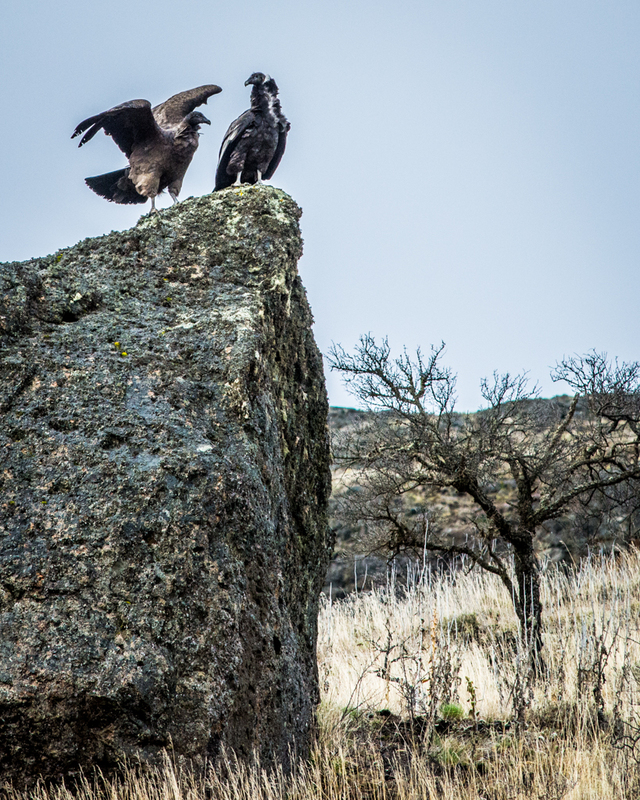 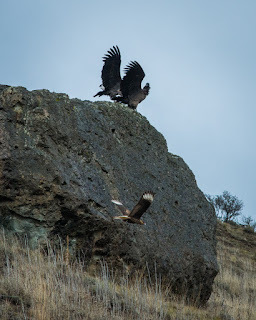 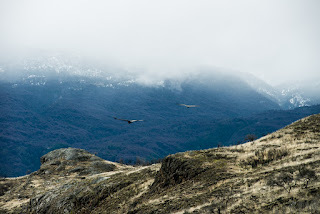 A caracara flies in front of the rock, a variety of falcon, commonly seen throughout Patagonia. 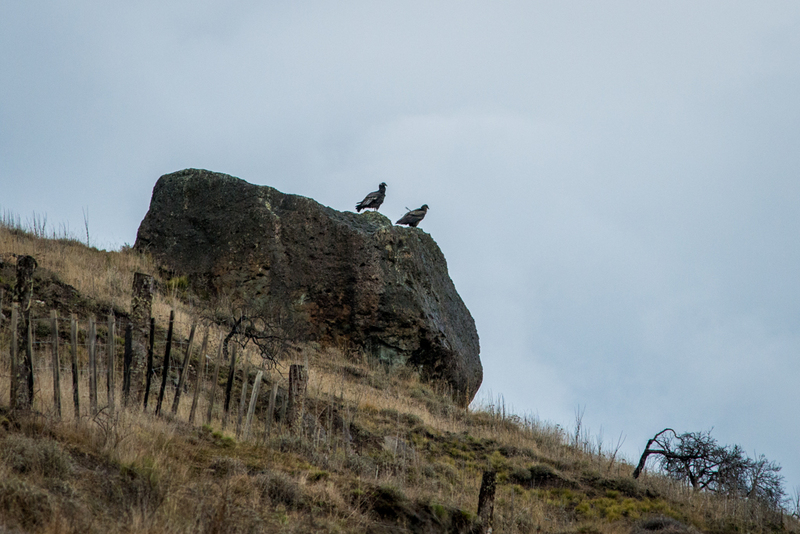 Hanging out with a caracara friend, or more likely, the caracara is hanging out with them! 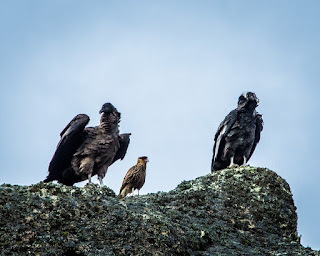 Fascinating birds! Their weight is staggering!